You can rely on Sherwood Flooring to give you that personalised service and quality finish. Sherwood Flooring is a leading WA company in installing and refurbishing of commercial timber floors. 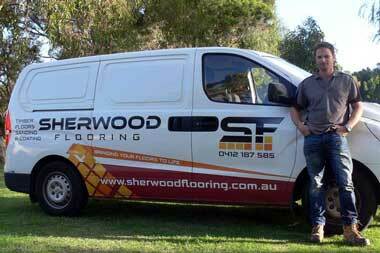 Sherwood Flooring is a Perth owned and operated business which was established in 2005. Since then, we have gained a solid reputation as a reliable and trustworthy provider of both residential and commercial timber floor sanding and polishing throughout Perth and country areas. Our quality workmanship has been recognised by most of the state’s leading architects and builders and by hundreds of Perth families. Company Director David Bromley is acknowledged within the industry as an honest, reliable and experienced floor sanding and floor polishing operator. His team of highly skilled trades people is second-to-none. David Bromley ensures that your floor polishing is completed in a professional manner. So you can rest easy knowing that your floor is in the best hands. If you would like to find out more about Sherwood Flooring contact us today, or browse our website to learn more about our quality products and floor sanding and floor polishing services.